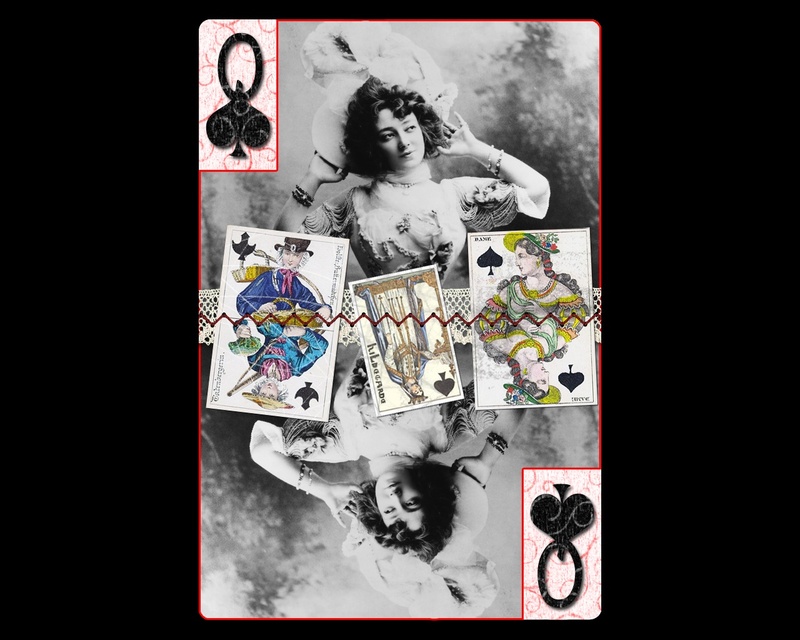 I'm so glad that I was dealt a queen card for this project as I had a specific idea in mind :) I was browsing though my vintage images of early movie stars and came across this one - it's Anne (or Anna) Held - I love the way her hat echoes the spade shape. I used a collage technique, as it's something I'm playing with at the moment. I'm not sure yet if this is entirely finished, or exactly what I want, but I'm not unhappy with it. Anyhow, I'm posting here for critique - so go for it! !